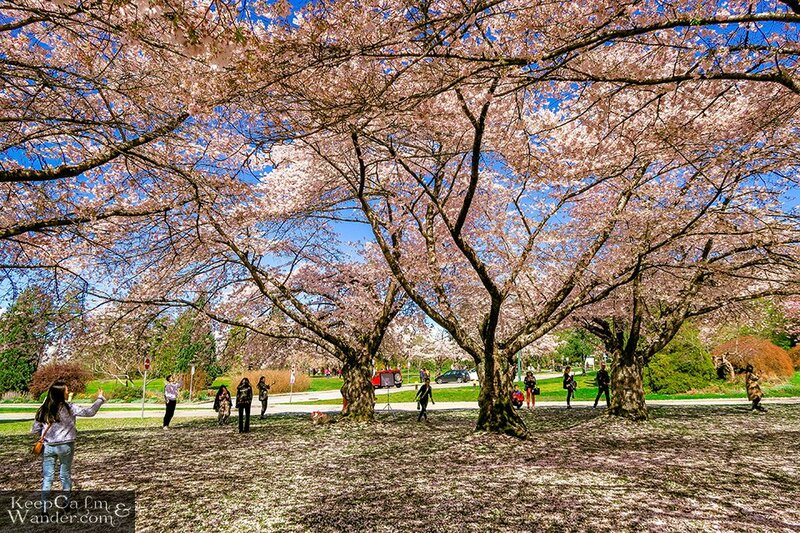 Springtime at Queen Elizabeth Park in Vancouver is what I needed on a sunny day yesterday. The last time I checked my weather forecast app was Tuesday and it showed a rainy on Friday so I didn’t really bother to check it again. 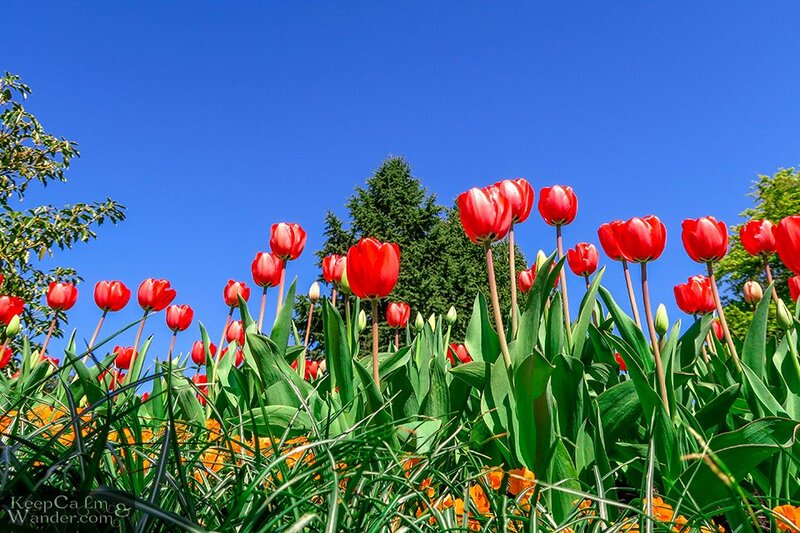 But when I woke up at almost noon, I was surprised at the azure sky outside my window. I hastily took a shower and off I went to the park which is around 45 minutes ride from where I am. 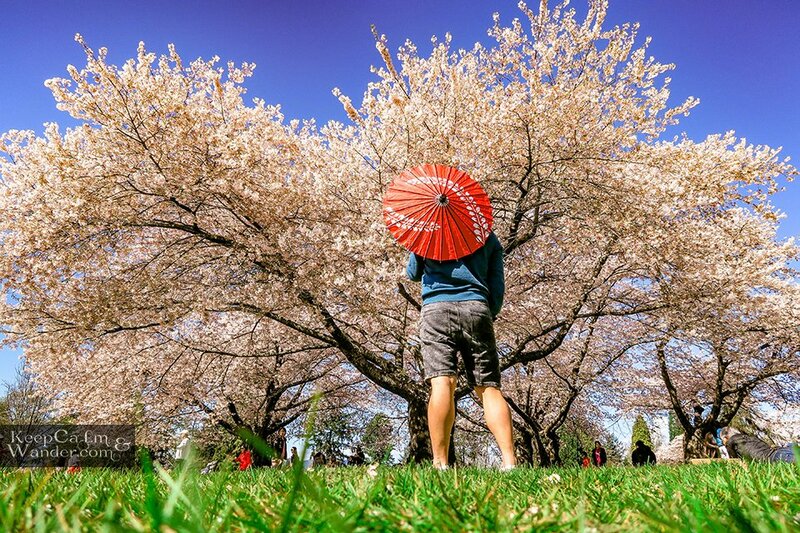 Cherry Blossom Festival Vancouver – Park Queen Elizabeth. 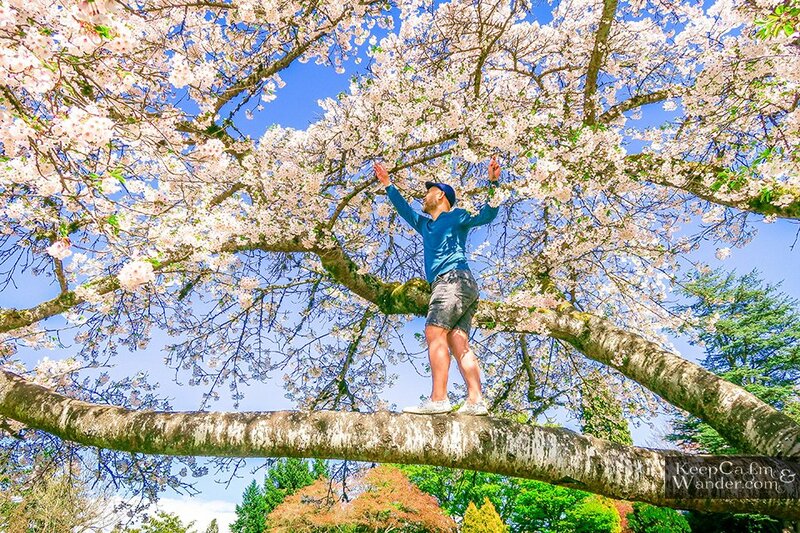 Springtime at Queen Elizabeth Park in Vancouver. 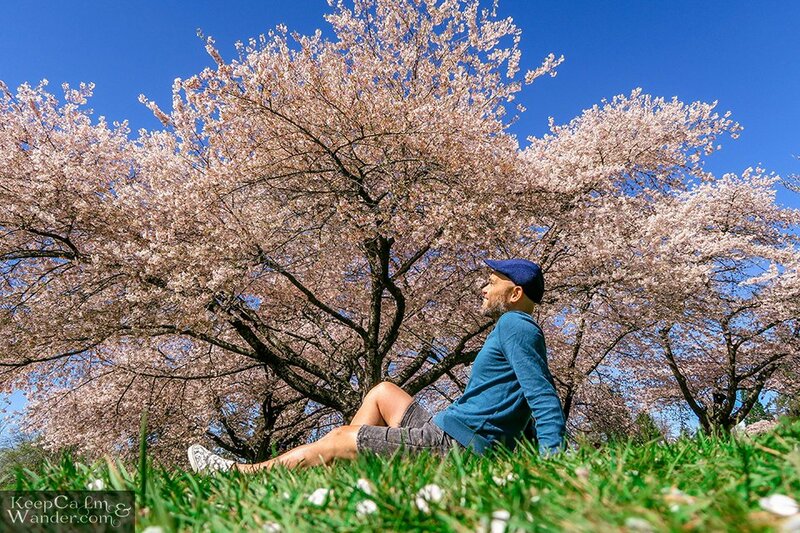 It seems to me now that every park in Vancouver has cherry blossom trees. 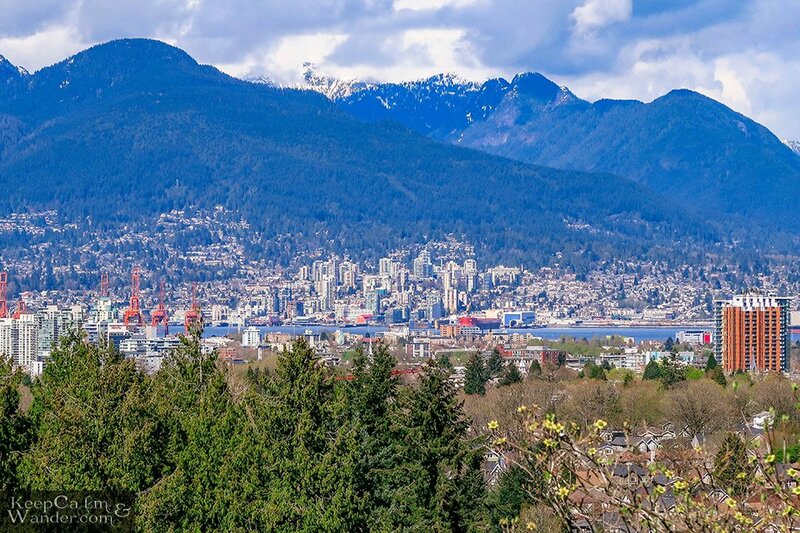 Though I was hoping they’re landscaped like a tunnel for a picture perfect vista, the ones at this park still can still get you the perfect photos you want. 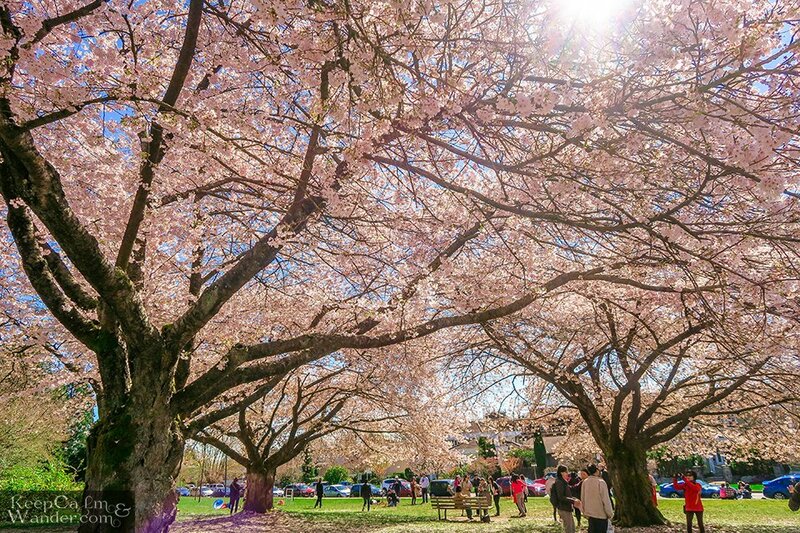 The cherry blossoms at Park Queen Elizabeth in Vancouver. Parks are for lovers, they say. And this “Love in the Rain” sculpture by Bruce Voyce is the proof. 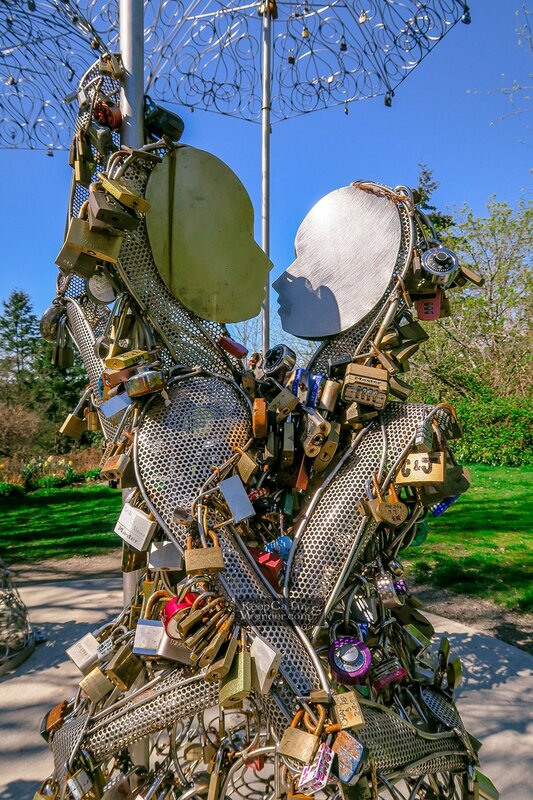 It’s a love lock statue so don’t forget to bring your padlocks when visiting here. You can throw the keys on a designated bin solely for them. Love in the Rain Sculpture at Q. Elizabeth Park in Vancouver. 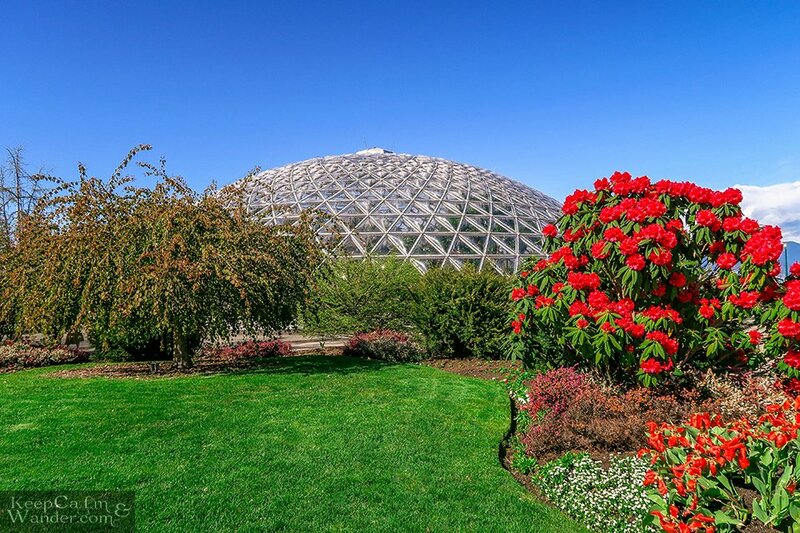 Experience the tropical paradise all-year round inside Bloedel Conservatory. 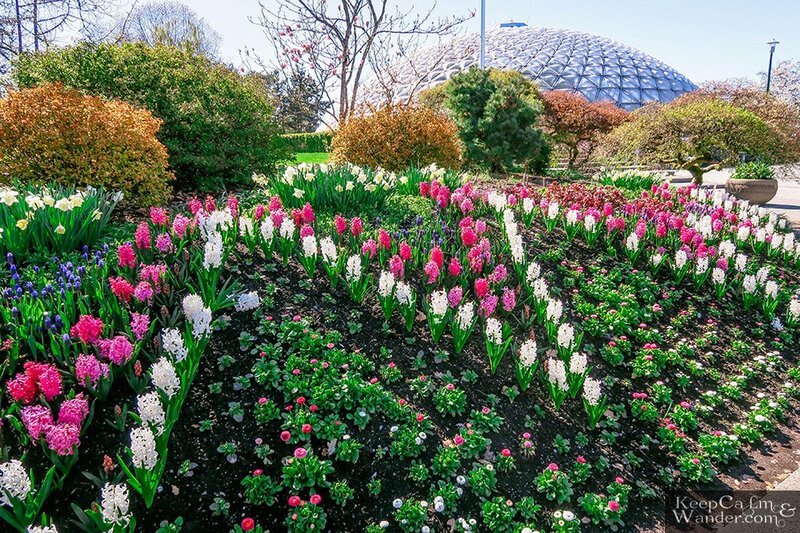 It has around 500 exotic plants from around the world and they thrive even in wintertime. You’ll also enjoy scores of colourful bird species that fly free in this domed structure. 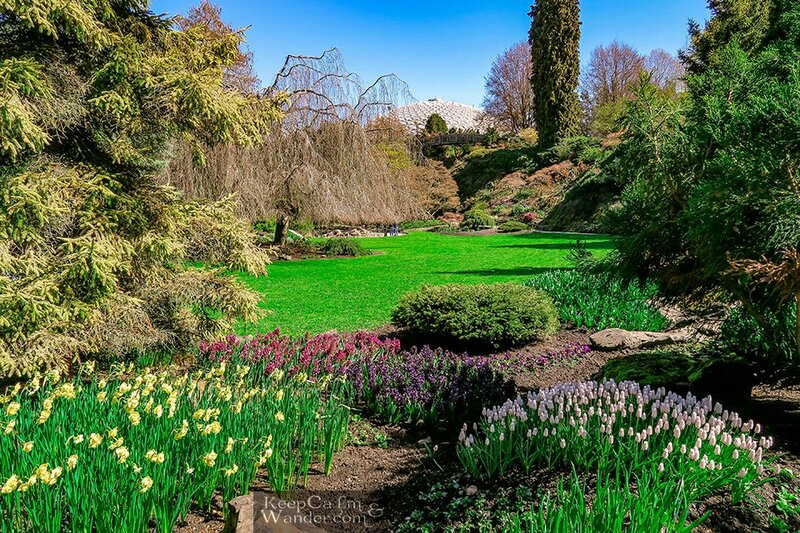 Bloedel Conservatory at Queen Elizabeth Park in Vancouver. There are benches surrounding this fountain and it’s a great idea to sit for a while and soothe all your senses. 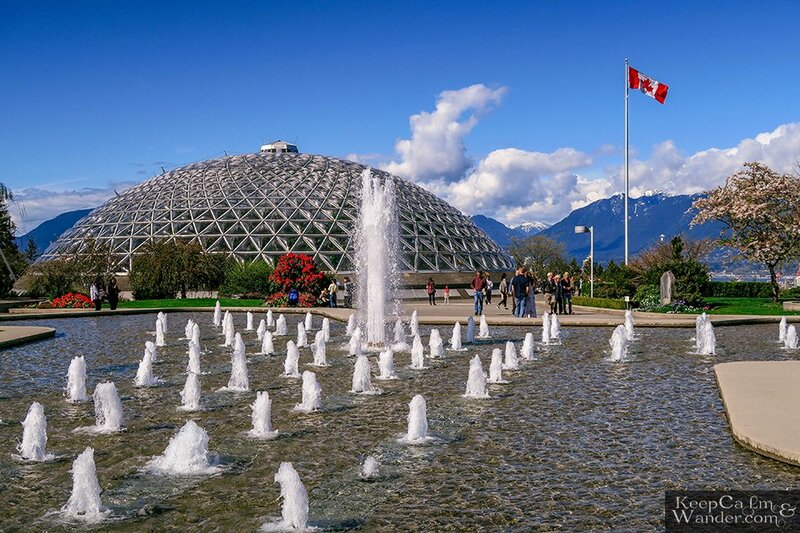 Bloedel Conservatory at Park Queen Elizabeth in Vancouver. 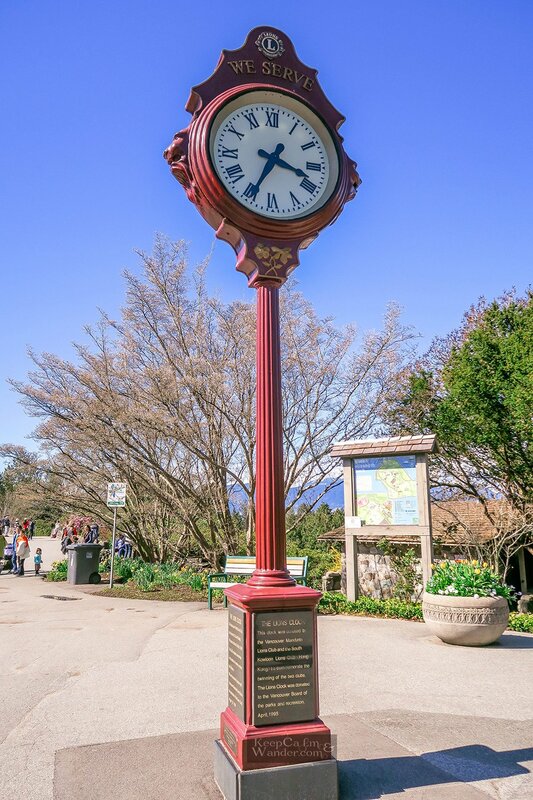 Red Clock at Park Queen Elizabeth in Vancouver. 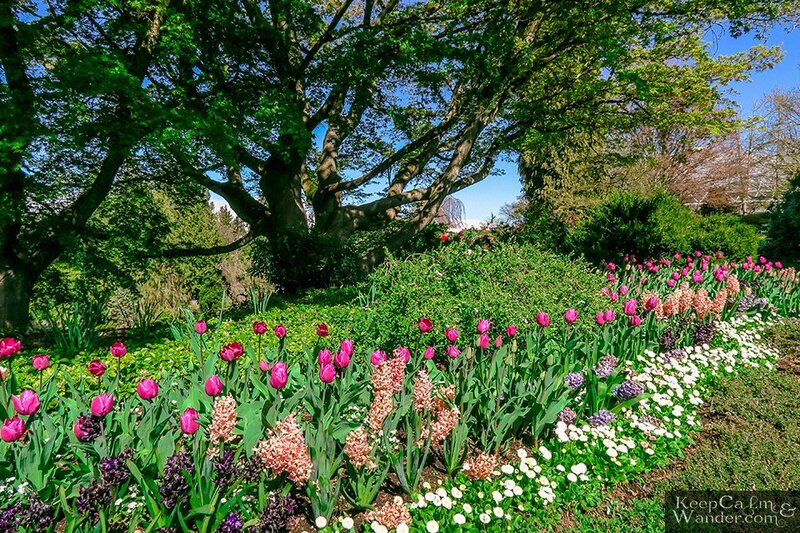 The Gardens at Park Queen Elizabeth in Vancouver. 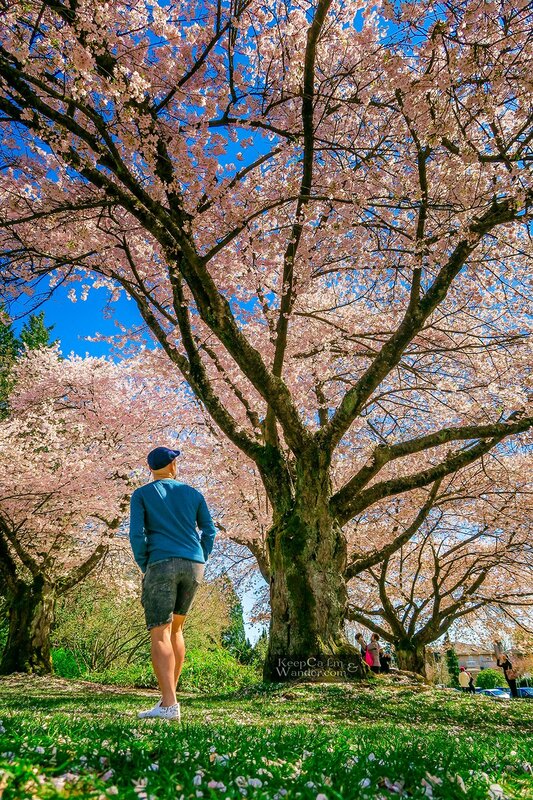 The Gardens at at Park Queen Elizabeth in Vancouver. 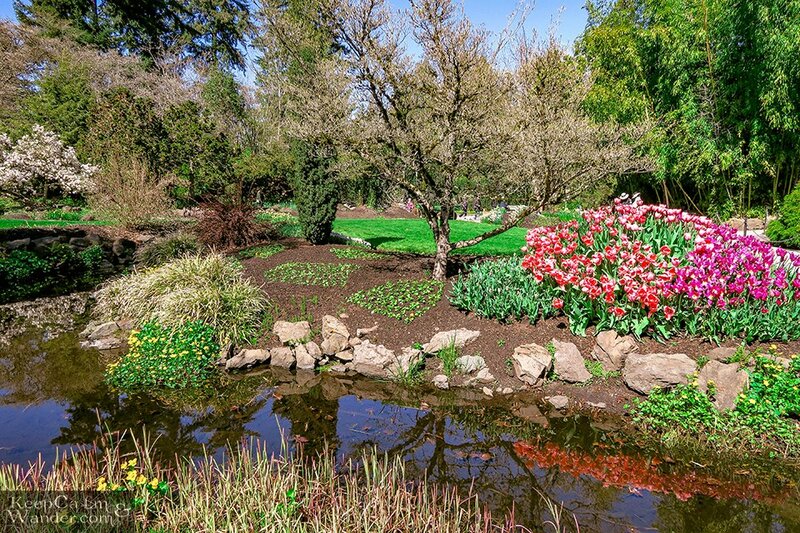 Gardens at Park Queen Elizabeth in Vancouver. 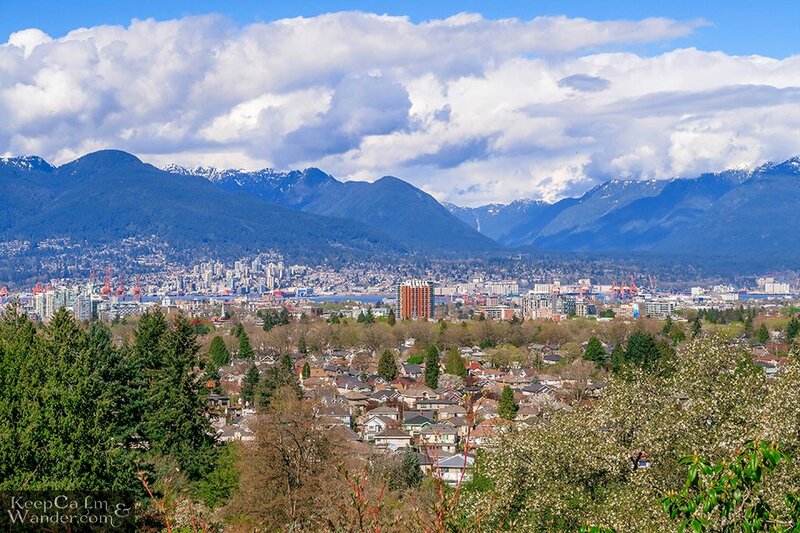 For budget travelers, the HI Vancouver Central, and the Same Sun Hostel are good ones to stay for their downtown location. But of course, if you can afford for a medium-priced or luxury accommodation, then, book it because you deserve it!